The organization was created in 1977 by David and Stanley Portman and founded on the core principles of customer loyalty and integrity. The founders’ father, Dr. Harry Portman, was a physician known for his selfless acts of kindness. 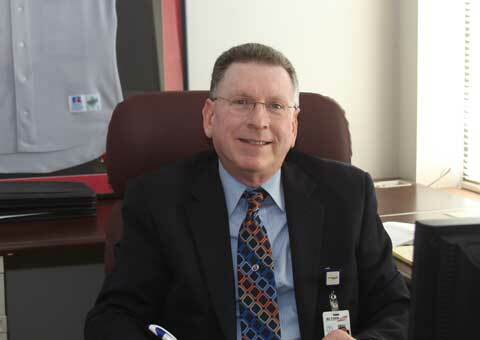 Dr. Portman understood that a key element of patient care was customer service. Action Ambulance holds true to this philosophy today. During each employee orientation, the company expresses this ingrained ideology and expects all team members to embrace the importance of the “little things” in customer service. David Portman, President and co-owner of Action Ambulance Service. 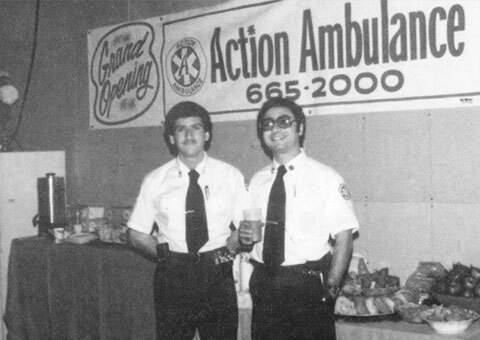 David founded Action Ambulance Service in 1977 with his brother Stanley. 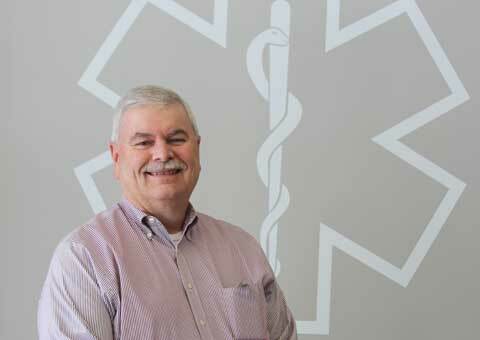 David has worked for 35+ years growing his organization into a leading provider of EMS in the Boston area. 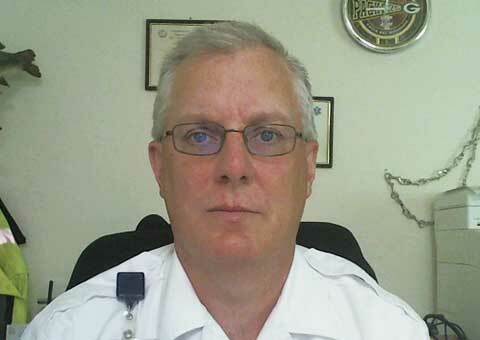 Michael Woronka, EMT-P, MBA is the CEO and co-owner of Action Ambulance Service. 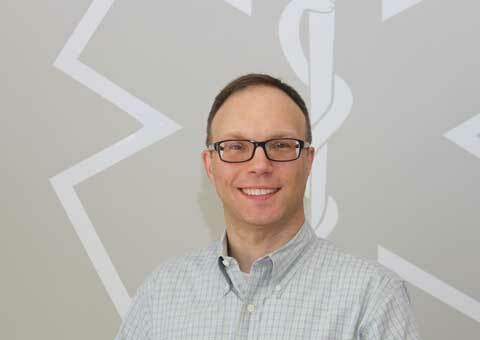 He has been able to effectively utilize his 20 plus years as a practicing field paramedic and his advanced educational accomplishments to create a thriving and successful organization, which continues to evolve into a business powerhouse. Robert Zwirn, Chief Financial Officer Rob brings over 20 years of finance and accounting experience to Action Ambulance. Prior to AAS, Rob was VP Finance at a service company and Corporate Controller for an internet company. Rob completed his undergraduate work at Babson College and holds an MBA from Boston University’s Questrom School of Business. He is a CPA licensed in Massachusetts. Chris began his EMS career in 1984 in the Merrimack Valley and he has held supervisory and management positions with several companies throughout Eastern Massachusetts and Southern New Hampshire. Chris’ leadership experiences were with both locally-owned small companies as well as national and international EMS organizations. He specializes in operational strategies and efficiencies and assists the sales team with growth opportunities, proposal creation, and customer relationships. 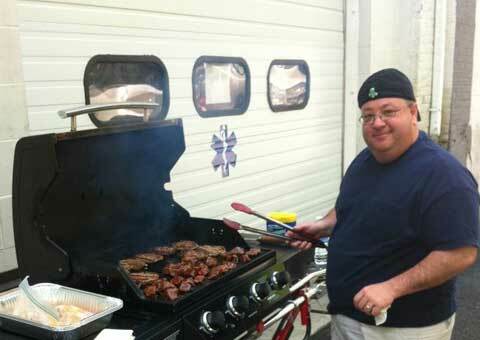 Chris remains a certified EMT and resides on the New Hampshire Seacoast. 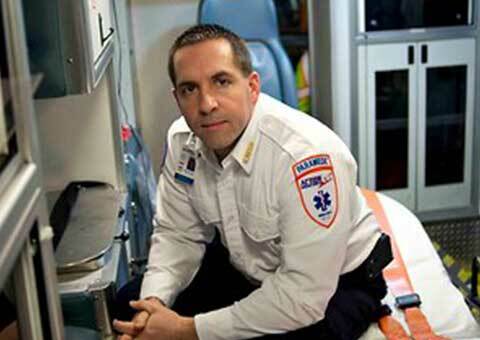 Rock R. Thibeault Vice President of Operations for MA EMS Region II. Rock Thibeault is our Vice President of Operations for Holyoke and AAS operations throughout the Greater I-91 Corridor In Western Massachusetts and into Region II. 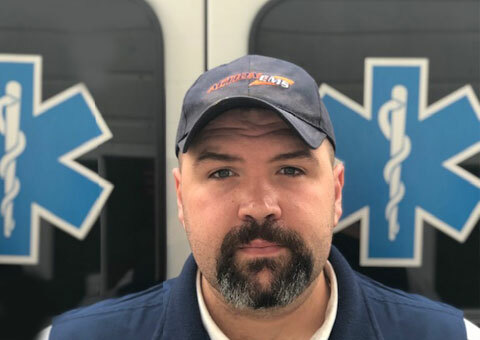 Rock has been in EMS for 10 years as an EMT, EMT-I and Paramedic, with various experiences in employee leadership, both 911 and transfer systems, as well as EMS education and field training. Rock is a long time resident of Springfield, MA. James Scolforo Vice President of Operations for MA EMS Region I James Scolforo, EMT-P is our Vice President of Operations for the City of Pittsfield & Massachusetts EMS Region I. James has been in the Emergency Medical Services industry for over 20 years and has been a long time resident of the Pittsfield area. 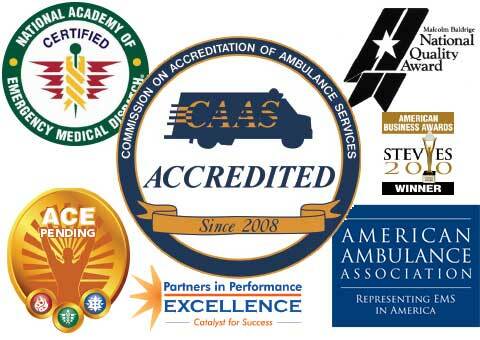 Action Ambulance Service prides itself on being a nationally recognized, award-winning company. The positive recognition we receive differentiates Action from the competition and demonstrates our value and commitment to the communities we serve. Action is accredited by the Commission on Accreditation of Ambulance Service (CAAS); is Emergency Medical Dispatch Certified by the National Academies of Emergency Dispatch; and is pursuing accreditation as an Accredited Center of Excellence (ACE)(Pending). In 2012 and 2013, Action was awarded the Partners in Performance Excellence Award for Business Performance Excellence. In addition, Action was awarded “The Stevie” (the American Business Awards) for Best Overall Company of the Year for 2010, and named as a finalist for IT Department of the year in 2010 and as a finalist for Best Overall Company of the Year in 2009.